Rare opportunity to own an urban/suburban equestrian estate! Nearly 10,000sqft home on approx. 25 acres inside the Gene Snyder and minutes to every convenience. Behind the tree lined gates is a private retreat with a beautiful mix of woods and fenced pastures. This is an oasis. The house is wonderful for entertaining and there are additional rooms in the walkout basement that could be used as bedrooms if needed. 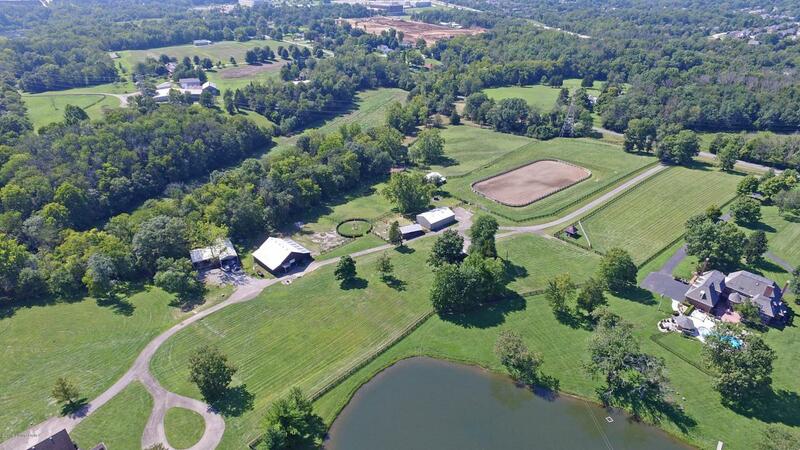 This estate features stables, utility barns, massive outdoor riding arena and round pen. Feel of living in the country yet only 20 min from downtown or airport. House on 70+/- acres offered for $4,750,000 (MLS 1513252). Exact acreage to be determined by survey & price may be adjusted accordingly. Farm acreage amounts are estimated.